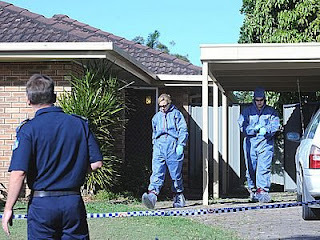 Home Asia Australia World WTH Parents Of Dead Twins To Be Charged With Murder - Australian Mother Says "I Don't Think I Fed Them Enough"
THE father of 18-month-old twins did not know they were dead until yesterday, despite having walked past their room many times since they died more than a week ago, a court has been told. The 28-year-old man and his 30-year-old partner, from Sunnybank Hills in Brisbane, appeared in Brisbane Magistrates Court today charged with failing to provide the necessities of life. 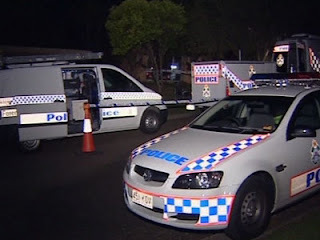 Police found the bodies of the twin boy and girl at the couple's house in Brisbane's south yesterday evening. Police prosecutor Sergeant Tina Green told the court the man had to walk past the twins' bedroom to get to his own room, where he slept separately from his partner. Sgt Green said the man told police he had not seen the twins since Christmas. She told the court it was likely the charges would be upgraded once post-mortem examination results were obtained. "It's most likely they are heading towards manslaughter or murder charges," she told the court. Lawyer Michael Cridland, representing the father, said his client was "hardly present at home" and that he had no contact with the twins. He said the mother was the primary carer and the father took the older children to school before going to work each day. Mr Cridland said his client had been told of the deaths only yesterday. The court was earlier told that the decaying bodies of the twins were found by an 11-year-old sibling who smelled something unusual in the room the toddlers rarely left. Police prosecutor Michelle Clarke told the court today the twins were found in the front bedroom of the rented home. The 11-year-old then went to the mother and said: "I know why you have been crying now." When police arrived they found the bodies in a "state of decay" and the children appeared to be malnourished, Ms Clarke said. The court was told the mother told police in an interview that she noticed the twins were dead on either June 8 or 9. She told police she had been suffering from a cold and rarely fed or changed the twins. When asked by police how they died, the mother allegedly said: "I don't think I fed them enough." One of the children weighed 3.6kg and the other 4kg, and the court was told the children were fed with a bottle only. The court was told the other four children - who are now in the care of their grandmother - allegedly told police they had rarely seen the twins, who had been kept in the room for most of their lives. Magistrate Noel Nunan granted the prosecution's application to have the pair held in custody for 48 hours, pending the results of a post-mortem examination. "The circumstance of the death of two young 18-month-old children is bizarre, given that both the parents had been in the house for approximately one week since their death," Mr Nunan told the court. A spokesman for Queensland's Department of Child Safety said the twins were not known to the department. He said the family was reported to the department before the twins were born, but no evidence requiring action was found. "Where there is no evidence for the department to take action, it has no legal basis to intervene with a family and it would be totally inappropriate for the department to attempt to do so," the spokesman said. Both were remanded in custody until Thursday. 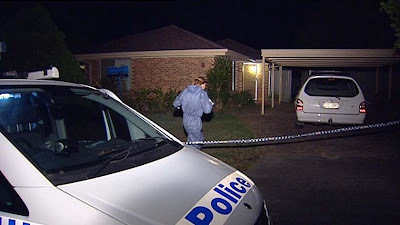 Update: "Dead Twins Not Known To Child Safety Authorities"
Queensland Child Safety officials say the twin toddlers were not known to the Department. Police say post mortem results on the children's bodies are not expected to be finished today. It has been reported that Child Safety officers investigated an incident involving the family some years ago, but Child Safety director-general Norelle Deeth says the twins were not known to the Department. The magistrate has requested more information about the welfare of the woman's four other children, who are now staying with relatives. Ms Deeth said there had been no evidence for the Department to take action. She also said the Department has no legal basis to intervene with a family and it would be inappropriate for the Department to attempt to do so. Meanwhile, child protection groups are urging people concerned about the welfare of children to contact authorities. Dr David Wood, from child protection group Act for Kids, says it is important for friends, family and neighbours to speak up when they notice something wrong. "It is a very important thing to realise that we should be looking after the next door neighbours' kids or the kids down the street and keeping an eye on them," he said. "That what would have happened years ago - that's what should happen today." Anglican Archbishop of Brisbane Phillip Aspinall says the death of the twins will have an enormous affect on many in the community, especially those with little children. "It doesn't help really to speculate about what's happened or to pre-judge matters," he said. "We all have to be patient and let the proper processes run their course. "What we can all do is to renew our resolve to really treasure children and do all we can to protect them." So typical of aussie, the breed like pigs. I was going to delete the previous comment and still will, because there is no place for racism here. But first, I will let the world see the ignorance of this person - sam leong. Is that the best english you can come up with Sam? Perhaps more education wouldn't go astray? Aussie Pete, please ignore this person. He gives the rest of Singapore a bad reputation. sam leong, is this the way your parents raised you? They must be so proud of you right now! I agree with Aussie Pete, you should go back to school.